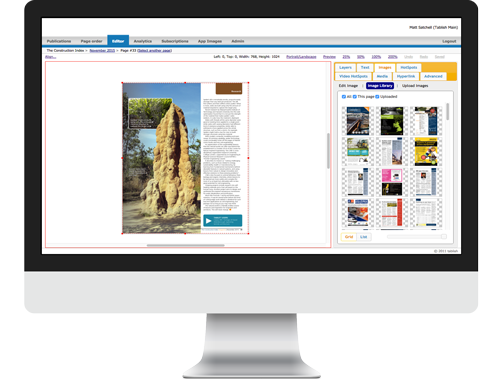 The software is accessed by either a Chrome or Safari browser and also allows you to choose how you publication is viewed in landscape. Whilst a majority of clients opt for double page spread there is also an option for custom landscape and also scrolling page in landscape. Once completed, the publication is then exported and published to both iOS and Android and a push notification is sent to the users device. If you would like a demo of the software you can get in contact here and once of our account managers will be in contact to arrange a screen share via Skype.